(6) professional dependence on technology and pharmacological methods of pain relief, (7) routine electronic fetal monitoring, (8) the chemical stimulation of labor, (9) the delay of birth until the physician's arrival, (10) the requirement that the mother assume a prone position rather than a squatting one, (11) the routine use of regional or general anesthesia for delivery, and (12) routine episiotomy (Haire, 1978, pp. 188-194). 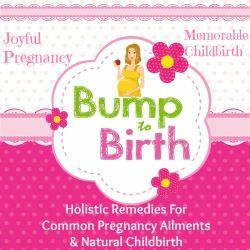 Beginning in the 1970s, the feminist health movement, an expression of resistance and advocacy in the health arena, has prompted many women and men to challenge many of these practices and has contributed to a heavier reliance on home births conducted by a now significant cadre of lay midwives in industrialized societies. One factor driving medicalization is the profit to be made from "discovering" new diseases in need of treatment. Medicalization also contributes to increasing social control on the part of physicians and health institutions over behavior. It serves to mystify and depoliticize the social origins of personal distress. Medicalization transforms problems at the level of social structure—such as stressful work demands, unsafe working conditions, and poverty—into individual-level problems subject to medical control (Waitzkin, 1983).